Let's talk texture. It's just about sweater weather and I love nothing more than a knit that gives a little something extra. 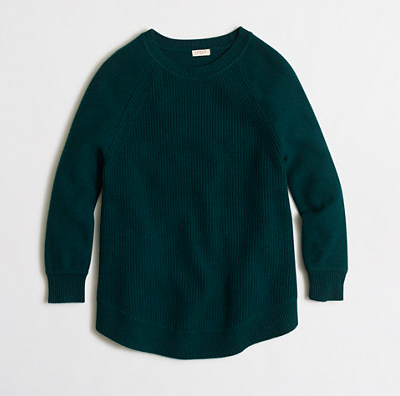 A sweater that isn't just crewneck or cardigan, it's got some feeling, something that gives a little oomph. These sweaters are under budget and lovely to the touch. 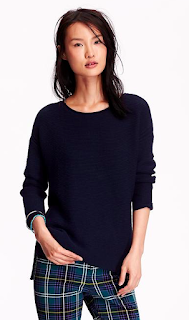 I love a good Madewell sale and this sweater doesn't disappoint. Choose from six other colors but I love this sandy gold. This sweater is crazy soft. The oversized fit and cowl neck just adds to the comfort level. Who doesn't need a beautiful dark green sweater in their closet? Right. A simple navy sweater is great for layering. This piece also has tunic-like side slits for a little something extra. 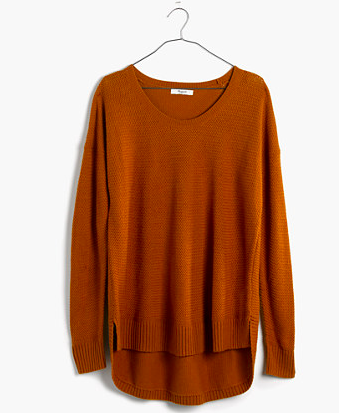 We will talk about a lot of sweaters this season, but starting things out with texture is just the way to kick things off.